I finally picked up P. D. James’s Talking About Detective Fiction, which I’ve been mildly interested in reading ever since it came out in 2009. I say ‘mildly’ because I’ve read all of James’s novels (some of them multiple times) as well as her autobiography and numerous interviews with her, not to mention essays, critical articles, and reviews about her work. I’ve also read quite a bit of historical and critical material on detective fiction more generally. So I didn’t expect any revelations from this little volume. Reading the best of Ngaio Marsh, I feel that there was always a dichotomy between her talent and the genre she chose. So why did she pursue it with such regularity, producing thirty-two novels in forty-eight years? . . . Marsh was a deeply reserved, indeed in some respects a private person, and she may well have felt that to extend the scope of her talent would be to betray aspects of her personality which she profoundly wished to remain secret. No other female crime writer has so powerfully and effectively combined a well-crafted detective story with the novel of social realism and protest. To me, James seems tempted towards a more explicitly feminist approach, but her Dalgleish novels, rich as they are as examples of social (and especially moral) exploration, have no air of “social protest.” It’s fun to imagine what kind of books — what kind of female protagonist — she would have given us if she had, as she imagines, started writing today! ‘The king died, and then the queen died’ is a story. ‘The king died, and then the queen died of grief’ is a plot. . . . ‘The queen died, no one knew why, until it was discovered that it was through grief at the death of the king.’ This is a plot with a mystery in it, a form capable of high development. To that I would add, ‘Everyone thought that the queen had died of grief until they discovered the puncture mark in her throat.’ That is a murder mystery, and it too is capable of high development. *I feel as if I should apologize for reworking this tired titling trope. That the book really is called Talking About Detective Fiction made the temptation irresistible, but I promise not to do it again. Twice is enough! And, as my penance for being so unimaginative, I also promise never to title a post with any variation on the “Keep Calm and Carry On” meme either — fair enough? Though everyone is looking a bit peaked around the department these days–students and faculty alike–and I’m certainly feeling the usual pressures as we move into the term’s final phase, I am also finding myself intellectually invigorated by the novels we’re working through in all of my classes. It is just such a pleasure to be spending time reading and thinking about them, even under less than optimal conditions. Maggie trembled. She felt that the parting could not be effected suddenly. She must rely on a slower appeal to Stephen’s better self – she must be prepared for a harder task than that of rushing away while resolution was fresh. She sat down. Stephen, watching her with that look of desperation which had come over him like a lurid light, approached slowly from the door, seated himself close beside her and grasped her hand. Her heart beat like the heart of a frightened bird; but this direct opposition helped her – she felt her determination growing stronger. One of my students remarked that when she studied The Mill on the Floss in another class, they discussed Maggie and Stephen’s relationship as a great romantic love story–thwarted, I suppose, by “society,” though she didn’t go into detail about their interpretation. I admit, I find that a puzzling take on these two, who seem so ill-suited to each other in character and taste, and also, as we see here, in values. That their passion cuts across these factors is precisely what makes it so surprising and dangerous. If only there were a great romantic option for Maggie in the novel! Instead, she’s torn between three loves (Tom, Philip, and Stephen), each with his own demand on her feelings and loyalties. Where is she to go–what is she to do? Short of leaving them all behind and starting over, there is no way forward for her, and she can’t cut them off because as she tells Philip (become, poor fellow, her “external conscience” rather than her beloved), she “desires no future that will break the ties of the past.” Given that, her final choice is as inevitable as its result. In 19th-Century Fiction we are nearly finished with Hard Times. I was wondering about my decision to rotate it into the reading list again after a few years of Great Expectations and a special turn for Bleak House, but I’m actually finding it really compelling. The structure is taut (if every so often the sentiment is a bit flabby) and it’s such a very dark novel. We were discussing Louisa today and her descent down Mrs Sparsit’s staircase. I don’t know another novelist who could (or would!) stretch out a conceit like that across not just paragraphs but whole chapters. 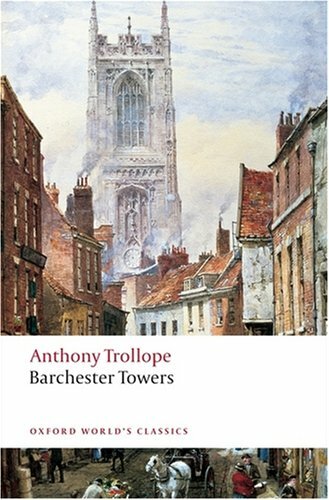 And throughout the novel there is such a tight integration between Dickens’s prose and his thinking, every thought infused with fancy so that as we read we live the novel’s principles. 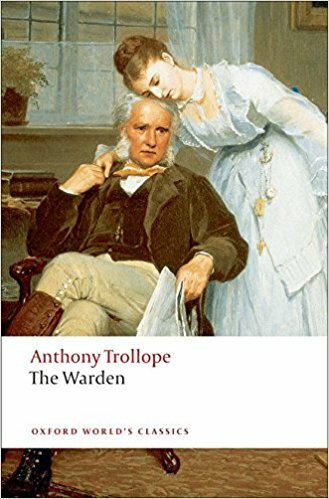 It’s not his most subtle novel, but subtlety will get you only so far, as Trollope conceded when he wrote about “Mr Popular Sentiment” in The Warden: the artist who paints for the millions must use glaring colours, and might make more difference than all his own fine shades of gray. And what subtle novelist could make me cry the way Dickens does every time I read the chapter called “The Starlight”? Before the week is out I want to bring in some excerpts from Martha Nussbaum’s Poetic Justice: it occurred to me during today’s discussion that we could think in more contemporary terms about the social effects of his literary strategies. In Mystery and Detective Fiction it’s a Victorian kind of week too, because we’ve moved on to P. D. James’s An Unsuitable Job for a Woman. James has always been explicit about her interest in 19th-century fiction, especially Austen, Eliot, and Trollope, and I think in many ways Unsuitable Job is very much in their tradition. It is a kind of Bildungsroman, or so I will propose in Wednesday’s class, and the central conflict is between a calculating kind of utilitarianism (on the villain’s part, of course!) and Cordelia’s passionate humanitarianism: “what use is it to make the world more beautiful if the people in it can’t love one another?” she exclaims, and in that moment she is close kin to Louisa as she falls on the floor before her father, Mr. Gradgrind, proclaiming “your philosophy and your teaching will not save me.” Both make the case for the wisdom of the heart over the wisdom of the head. After last week’s big effort towards launching the students in my survey class on their research assignments, we spent our first two classes this week with Mary Barton: no PowerPoint, no overheads, just me, them, and the novel. My impression (though it is necessarily impressionistic, since I can’t even really focus on most of their faces in our particular room) is that they are finding the reading a bit of a slog right now. This is not really surprising, since for many of them this is their first experience reading Victorian fiction (probably, any long fiction, though since many of them are English majors, I shouldn’t assume the worst, I suppose). And even those who have ventured into the nineteenth century before are more likely to have read Austen or the Brontes than any Gaskell, much less Gaskell at her most sentimental and didactic. Wait–that’s probably Ruth, so they should consider themselves lucky to be reading a novel in which there is a lot of action, including a fire (with a daring rescue), a murder, a boat chase, a trial scene, and a touching deathbed reconciliation. In Ruth, as I actually told them yesterday, the basic story is that Ruth is seduced and then spends 400 pages being very, very sorry. On Monday I focused on Gaskell’s strategies for softening her readers up to the working-class families who make up the large majority of the novel’s population, only, once she’s made us all cozy with them, to start bumping them off in large numbers. The string of deaths in the first 90 pages of the novel really is quite shocking, which of course is the point: we need to ask, as the characters themselves as, why their lives are so precarious. We looked also at John Barton and the process by which he becomes a radical, a Chartist, and eventually a [spoiler alert!] murderer. Gaskell is careful to show the social and economic causes of his alienation, hostility, and violence: his Chartism is not the result of any moral failing on his part, but of his desperate circumstances, and, most important to her analysis, of his perception (largely justified) that those around him with power and money do not listen or care. Communication between the classes: this is, essentially, Gaskell’s prescription for solving the ‘condition of England’ problem, and of course her novel is explicitly offered as an aid to that conciliatory process. Mary Barton is another example, that is, of a novel in which the characters have difficulties that would be solved if only they had the opportunity to read the novel they inhabit. (Vanity Fair is another one, or so I have argued.) Is there a name for this kind of self-referential intertextuality? If Mary Barton were called John Barton, as Gaskell once planned, then it would be a more radical book than it is, but in Mary Barton John’s story is–not sidelined, exactly, but nearly overwhelmed by Mary’s story, which is in some ways a predictable love triangle. Yesterday we (well, I–Monday, I hope to really bring them into the discussion, since by then they should have read the whole book!) focused on how that story, and women more generally, fit into the novel’s larger interests. I looked especially at Mary’s Aunt Esther, who is lured by her experience of financial independence (she worked in a factory) to desire more social mobility than the novel sees fit: she eventually falls for a rich man and then becomes a fallen woman, and she wanders the margins of the town, and the novel, as a cautionary tale for Mary. Tomorrow we will spend our tutorials on the ever-exciting topic of proper MLA-style citations, then Monday we wrap up our class work on the novel with, I hope, some vigorous debate about the novel’s proposed solution to its problems. [D]on’t say that what I’m doing here isn’t worth one single human life. . . The greatest good of the greatest number. Beside that fundamental declaration of common sense all other philosophies are metaphysical abstractions. Callender is a ‘conservationist,’ that is, an environmentalist. So in some sense he is pursuing the ‘greatest good of the greatest number.’ But Cordelia confronts his narrow definition of ‘good’ with an appeal to humanity (‘what is the use of making the world more beautiful if the people who live in it can’t love one another?’), and it’s surely no accident that the individual victim here is a humanist and that one of the battlegrounds is Cambridge, which Cordelia idealizes as “ordered beauty for the service of learning” before she realizes that its scholarly pursuits have at least two faces: in Bunyan’s words, which she quotes, “then I saw that there was a way to hell even from the gates of heaven.” That James takes Cordelia’s side is suggested by Sir Ronald’s role as the villain of the piece. He has created his own Frankenstein’s monster in the person of his lab assistant, Lunn, whose subservience to his scientific master nearly leads to Cordelia’s death. In a genre that typically rewards objectivity and detachment, Cordelia (though just barely) survives and succeeds because of her attachments and loyalties, her refusal to allow love to be devalued, even after death. 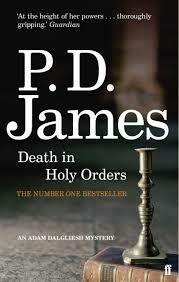 Though in the end she causes at least one, arguably two, deaths, and lies even to the point of becoming an accomplice to a murder, Dalgliesh concludes that “she’s absolutely without guilt.” Using the skeletal apparatus of a crime novel, then, James has in fact written a novel about values, and in particular about the conflict between two visions of learning, one coldly scientific and the other youthful, naive, idealistic, but ultimately worth fighting for–a novel, as it turns out, well suited for the current moment. Who Cares Who Killed … Whoever It Was? I’ve just finished reading the latest releases by two of my favourite mystery novelists, P. D. James‘s The Private Patient and Elizabeth George‘s Careless in Red. (I know they’ve been out for a while; I was waiting for the paperback editions.) Both books are better than fine as examples of their type–though George is in fact American, both authors write what we could call highbrow British police procedurals, leisurely in pace, attentive to setting, driven by character more than plot. Both write well; James’s prose is more economical, while George’s would (IMHO) benefit from more stringent editing, but both offer their readers intelligent complexity of language and thought. 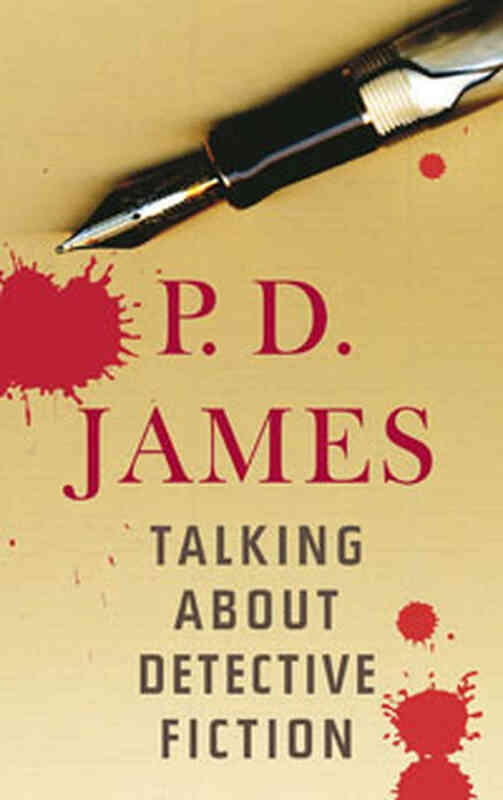 The depth of character and theme both achieve justifies James’s repeated assertion that crime fiction provides a useful structure for the novelist without necessarily limiting the literary potential of her work. Yet for all their virtues, I found myself unexpectedly dissatisfied with both of these novels, for reasons that are based in their form. Often in my course on mystery and detective fiction we talk about the limits working in this genre sets on certain literary elements, chief among them characterization. A mystery novelist can not afford to mine the depths of her characters as long as they are suspects in the case. This technical limitation is most apparent in writers of ‘puzzle mysteries,’ such as Agatha Christie, but even with writers who develop their people quite fully, as James and George do, an element of opacity is required, not just about their actions, but about their feelings and values, else we will know too quickly “whodunnit.” (There are exceptions, of course, as when some of the novel is openly from the point of view of the criminal, though often then we have inside knowledge without knowing the character’s outward identity.) The same limits do not, however, apply to the detectives–which is one reason, as historians and critics of the genre have pointed out, for the appeal of the mystery series. Across a series of novels, we can come to know the detectives very well, and a developmental arc much longer than that of any single case emerges. Though the case provides the occasion, after a while the real interest lies with the detective. That, I think, is very much what has happened with both James’s Adam Dalgliesh and George’s Thomas Lynley. Every one of their books is populated by a new array of people, but they are the ones with whom we have longstanding relationships–remarkably longstanding, indeed, as James has been publishing Dalgliesh mysteries since Cover Her Face in 1962, and the first Lynley novel, A Great Deliverance, was published in 1988. And though Dalgliesh and Lynley have always been complex and interesting protagonists, in recent books so much of significance has happened in their lives that I turned to these latest instalments motivated far less by curiosity about the latest corpse than by the desire to know how things are going with them. While actually reading the books, I took a fairly perfunctory interest in the investigations but I was keenly interested in what came to seem the regrettably few sections focusing on, for instance, Dalgliesh’s relationship with Emma Lavenham (and not just because it’s a little victory for English professors everywhere). The real novelistic potential of The Private Patient emerges, I think, in the scene in which Emma confronts Dalgliesh in his professional capacity and we see, fleetingly, the difficulty that even these two extremely intelligent and independent people might have reconciling law and love, justice and humanity. But this material is not developed, and in fact the novel in which it does become the focus would have to leave the genre of detection quite far behind. (Gaudy Night is a rare example of a novel that I believe successfully balances human and literary interests with mystery elements, partly by integrating the case so thoroughly with the personal aspects of the story and making both the detection and the romance converge on the same themes.) Careless in Red spends more time on Lynley’s personal situation, but again his struggle to move forward after the tragedy of two novels ago (see how I’m avoiding spoilers, in case anyone hasn’t already read this excellent series?) is subordinated to the case at hand–though George does set the case up with thematic echoes of his tragedy. I can hardly fault either author for the relative weight they give to the professional, rather than personal, business of their characters. That’s the kind of book they have undertaken to write. Also, as their protagonists are professional detectives, policing is integral not just to their work, but to their identities. But I do wonder if even James, the acknowledged Grande Dame of the genre, hasn’t finally shown us the end point (dare I say the dead end?) of a commitment to this genre. Just introducing the kind of story arcs they have given their protagonists recently suggests that James and George might be chafing at the constraints of detective fiction, wanting to write a straight novel of psychological and moral development, a novel in which incident is second to character, a novel squarely in the tradition James has always claimed as hers–that of Austen and George Eliot and Trollope. At any rate, that’s the kind of novel I find I wish they would write. Over the years they have succeeded in getting me quite emotionally involved in the lives of their main characters (and not just Dalgliesh and Lynley, either, but Kate Miskin, Barbara Havers, Simon and Deborah St. James…). The corpse and suspects, however, are never more than passing acquaintances. She thought, The world is a beautiful and terrible place. Deeds of horror are committed every minute and in the end those we love die. If the screams of all the earth’s living creatures were one scream of pain, surely it would shake the stars. But we have love. It may seem a frail defense against the horrors of the world but we must hold fast and believe in it, for it is all we have. Though of course I would not rush to assume that a character’s views are those of the author, it is hard not to read this final paragraph from a novelist who has spent nearly five decades telling us about “deeds of horror” as a reminder, even a consolation, that even in a murder mystery, death need not define life. There can be little doubt that Persephone, which reprints lost or forgotten women’s classics, has filled a gap left by the bigger Virago. Quieter, more interior and less obviously feminist than the latter, it celebrates its first decade as the champion of the kind of book trendy that literati like to dismiss as dull and domestic. Virago’s founder, Carmen Callil, when recently describing how her team chose whether or not to reissue a particular author, would dismiss rejects as “below the Whipple line”, referring to what she called, with withering dismissal, “a popular novelist of the 1930s and 1940s whose prose and content absolutely defeated us”. Persephone, as it happens, has Dorothy Whipple as one of its star authors, alongside Virginia Woolf, Mollie Panter-Downes and classic children’s authors such as Noel Streatfeild and Richmal Crompton, whose adult novels have long been out of print. So, indeed are Persephone’s customers, who have fallen upon its 78 reissued novels with joy and ensure sales of between 3,000 and 10,000 a book. As the shop – which sells Persephone mugs, dressing gowns and cards behind a window dressed with a felt cloche hat and an old typewriter – suggests, being a Persephone reader is almost a lifestyle choice for intelligent women who want to settle down with what has been described as “a hot-water-bottle novel”. Yet alongside bestselling nostalgia collections such as Kay Smallshaw’s How to Run Your Home Without Help are darker tales, such as Penelope Mortimer’s Daddy’s Gone A-Hunting, and wholly enchanting adult fairytales such as The Making of a Marchioness by Frances Hodgson Burnett. I don’t remember seeing any Persephone titles in bookstores here, but now I’ll have my eyes open. And if they don’t have Canadian distribution, there’s always the excellent Book Depository (free international shipping!). This review (which concludes with blog-worthy snarkiness, “there is one question this volume answers conclusively: Why Readers Nap”) is not nearly as favorable as Frank Kermode‘s in The New Republic a little while back. How Fiction Works has certainly received a great deal of attention, in print and on blogs: here are a few more links, in case you just can’t get enough criticism of criticism. You have to give the man credit for getting a lot of people talking about what makes good literary criticism. One quotation I would most like to see in any revised edition [of the Oxford Dictionary of Literary Quotations, which she was reviewing for the Sunday Times] are the words of Henry James, writing of Anthony Trollope, “We trust to novels to maintain us in the practice of great indignations and great generosities.” It is an elevanted ideal of fiction, but, thinking it over, I am not sure that it is any longer true. Dickens could write a novel which would move his readers to pity or outrage and act as a spur to action, but surely today it is television which, sometimes powerfully, sometimes superficially, examines for us the dilemmas and concerns of our age, reflects our lives and opens us to the lives of others. . . . In particular, the so-called literary novel too often seems removed from the day-to-day concerns of ordinary people. The very description ‘literary novel’ is, for many readers, an indication that the work is not intended for them. With some notable exceptions–David Lodge is one–the worlds of industry and commerce, the very means by which society gains the wealth which supports our art and literature, are alien to the modern novelist, perhaps because they are worlds few of us have experienced. Have we a responsibility to break free from our cabined preoccupations, our fascination with history and our literary exploitations of the evils of the past and address ourselves to more contemporary themes? Is there a novelist today who could write–or would try to write–War and Peace or Trollope’s The Way We Live Now with its brilliant portrayal of the financier Melmotte, the nineteenth-century Robert Maxwell? On that note, it’s interesting to note that James herself is a devoted, but not pious, Anglican, meaning she appreciates and participates in religious ritual but finds that compatible with what seems a fairly loose commitment to specific doctrines. Don’t undertake to review a book if it is written in a genre you particularly dislike. If you have prejudices–and you’re entitled to them–face them frankly and, if appropriate, acknowledge them. [her #6] Must we always have a car chase? Men may like them (although I can’t think why); most women find them boring in the extreme. And if you must have a car chase, must it go on for so long? It need last only as long as it takes us to go and make the tea. The book itself ends with her engaging address to the Jane Austen Society of North America on “Emma Considered as a Detective Story,” well worth reading. Finally, if you want to listen to James speak for herself, try this excellent lecture on “The Craft of the Mystery Story,” which she gave at the Smithsonian in 1995.